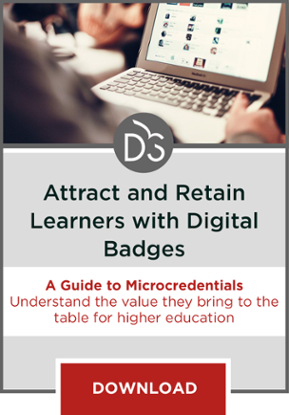 Microcredentials have the capacity to support higher education’s relevance in the post-degree era, but colleges and universities must actively champion their value. Employers are losing interest in college degrees. In the first half of 2018, only 30 percent of job postings required a degree, down from 32 percent the previous year and 34 percent in 2012, according to a Burning Glass Technologies analysis of 15 million job ads. This presents an opportunity for higher education. With microcredentials, the 75 percent of Americans who do not have a college degree can obtain the skills they need to reach the next level in their career without having to take on the burden of student loans. 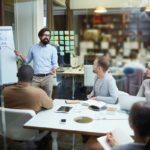 Badging and microcredentials should be surging in popularity—much like how the degree evolved to be the standard during the mid-20th century—since unemployment is at an all-time low and many businesses no longer require excessive educational qualifications for entry- and mid-level positions. But this hasn’t happened yet. In specific industries—IT for instance—certifications have become the norm, and are sometimes even more desirable than degrees. How did that happen? With technology disrupting every sector, industries needed a way to teach and measure fast-evolving skills, so industry associations like CompTIA emerged to standardize testing and define certifications, providing businesses with the easiest way to evaluate a job applicant’s skills. This has been successful because it allows the student to learn through hands-on training while offering a choice between the classroom and self-directed online instruction. 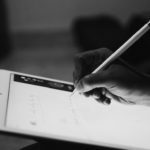 As disruptive technological tools emerge, we can expect to see continued growth in the certifications. Given the higher education industry’s deep investment in certifications, microcredentials in specialty areas within the field are the natural next step. Where is the Success in Microcredentials? Microcredentials are best used to enhance the skills or competencies that a learner already has. K-12 teacher education is showing the biggest increase in accepting the microcredential, primarily because of continued professional development (PD) requirements in most states. For a teacher to receive a salary increase, they are required to take some type of PD course. It seems, however, that most states and school districts are only interested in whether or not a teacher completes a microcredential. The content of the credential doesn’t generally affect the salary bump. 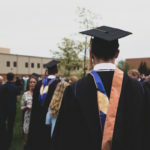 But when school districts and states begin to value one type of microcredential learning over another, the value of these credentials will increase. Industry will start to see them as more than just a way to fill PD requirements. Identifying additional required skills and PD requirements in licensure-dependent professions can allow institutions of higher education to develop unique courses that may actually drive future degree and curriculum development by tracking how successful microcredential learners are in obtaining new employment or advancing in current positions. It is up to institutions to prove the value of microcredentials to the business community. Badges have received a lot of buzz in the educational community but still haven’t caught on with businesses. While much work has gone into the concept of badging and defining competency, badges are not yet universally accepted. This is a cultural shift that should be championed by institutions of higher education. 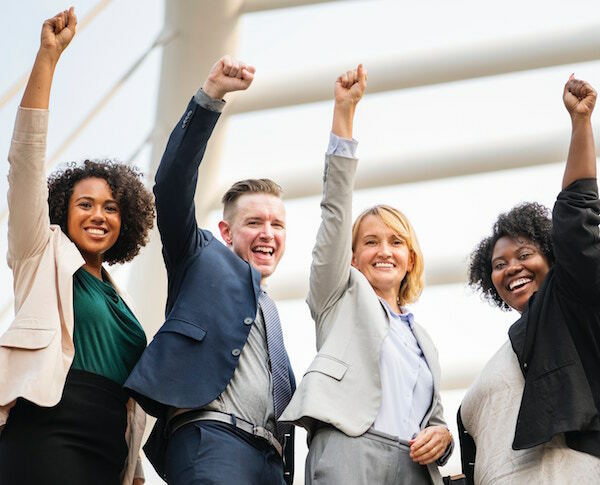 Before expecting businesses to recognize the value of microcredentials, the educational community must develop standardized measurements across institutions that should enable learners, employers and institutions to recognize badges in a similar way to recognizing credit hours. To achieve universal acceptance, the badge owner should be able to transfer the badge across colleges. Starting with the education community itself (K-14 in particular) and aligning them with microcredentials that show quality and value can quickly normalize the recognition and acceptance of microcredentials in the mainstream. Microcredentials should be targeted and valuable to the community to which they are offered. Look for credentials that will provide a new way of thinking about a subject (for example, classroom management) or an emerging trend or methodology that will soon be widely adapted (e.g., Google in the classroom or project based-learning). Using trending topics for microcredentials could provide an opportunity to create a brand around “thought leadership” and could even tie into an educational thought leadership badge. The cost must be comparable to other PD opportunities within a profession. For more information on how to maximize your microcredential program for educators visit: http://www.nea.org/home/microcredentials.html. Kelsey Gee, “Employers Eager to Try a New Policy: ‘No Experience Necessary’.” The Wall Street Journal, July 29, 2018. Accessed at https://www.wsj.com/articles/employers-eager-to-hire-try-a-new-policy-no-experience-necessary-1532862000. Joseph Fuller, “Why Employers Must Stop Requiring College Degrees for Middle-Skill Jobs.” Working Knowledge, December 18, 2017. Accessed at https://hbswk.hbs.edu/item/why-employers-must-stop-requiring-college-degrees-for-middle-skill-jobs.